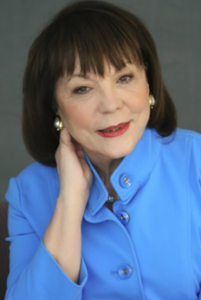 Business View Magazine interviews Dr. Marsha Firestone, Founder of the Women Presidents’ Organization as part of our focus on women business leaders. The Women Presidents’ Organization (WPO), a nonprofit IRC Sec. 501 (c)(6) organization, is the premier, global peer advisory organization for successful women entrepreneurs, presidents, CEOs, and managing directors of privately-held, multimillion-dollar companies. Its mission is to accelerate business growth, enhance competitiveness, and promote economic security through confidential and collaborative peer-learning groups. There are currently 137 WPO chapters in the United States, Canada, Mexico, Peru, the United Kingdom, Sweden, Portugal, Turkey, Israel, the Middle East, Northern Africa, South Africa, Australia, and New Zealand. Each chapter is composed of approximately 20 accomplished women entrepreneurs with industry exclusivity and from diverse backgrounds who address business concerns in a confidential roundtable format, and function as an informal board of directors for each other’s businesses. 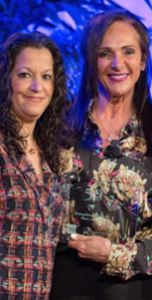 The WPO was founded in 1997 by Dr. Marsha Firestone, co-author of The Women Presidents’ Organization 50 Fastest Growing Women-Owned/Led Companies Guide to Growth. A recognized expert on entrepreneurship, adult learning theory, nonverbal communication, and managerial competency, Dr. Firestone has published research on adult learning theory in business and education journals and is a frequent guest speaker. She received her Ph.D. in Communication from Columbia University. BVM: Can you talk about the genesis of the WPO? BVM: You said that the needs of successful women you knew were not being met. In what way? BVM: How did the Women Presidents’ Organization evolve over the years and what is its current membership status? BVM: Outside of member dues, are there any other revenue streams that support the Women Presidents’ Organization? BVM: How big is the Women Presidents’ Organization staff, and what are their main priorities? BVM: What’s on the top of your current agenda? Firestone: “Every year, we do a search for the 50 Fastest Growing Women-Owned/Led Companies. We’ve been doing this for ten years and this year’s search is underway. From the many applications we receive, we select the top 50. Then we announce them at our annual conference, which will take place, this year, May 2nd through 4th, in Los Angeles. The reason that we started doing it is because I think that the public thinks that women-owned companies are mom-and-pop operations and we want to demonstrate that that is not always the case. “We usually have about 900 attendees [at our conference] and we are working very diligently to make sure that the programs that we deliver are educational, interesting, motivating, and that they can be of primary service to our members. BVM: What are some of the issues that Women Presidents’ Organization members care most about? Firestone: “Our members take a Business Outlook Survey every year – and every year the top challenge is finding, hiring, training, and retaining good employees. Access to credit has always been an issue for women who start and run companies. This has been going on for 20 years or more. While this has somewhat improved, it is still not where it should be. Last year, for the first time, they complained bitterly in the survey about red tape. So, those are the three main issues that we are dealing with in our chapters – access to credit, dealing with red tape, and HR issues. BVM: Does the Women Presidents’ Organization do any advocacy? BVM: What does the long-term landscape look like for WPO and how will the organization continue to be a resource for your members? Firestone: “WPO is a ‘high touch’ organization. I know that there is a lot of focus on the growth and development of the digital age, but our members also like to be connected to each other, to the sponsors, to the chapter chairs, to the media, via high touch. I see that continuing. 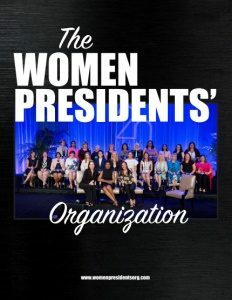 BVM: Anything else you would like our readers to know about the Women Presidents’ Organization? Firestone: “In our proprietary peer learning program we train and continue to train chapter chairs as long as they’re involved with us. Their job is to bring the genius that already exists out of the group. That is a very important point. “We use an adult learning model for our educational programming. And that model says that adults learn best when they define what they’re going to learn, when they’re going to learn it, and how they’re going to learn it. So, that’s an additional important piece of what we do. 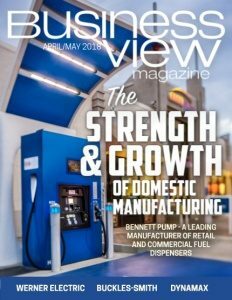 Check out this handpicked feature on Perpetual Energy Inc. – Bold ideas for energy.